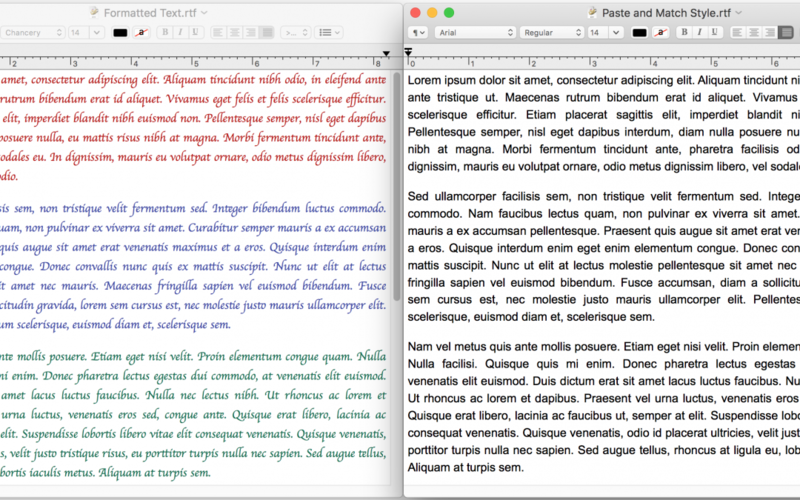 When you copy text from a Web page, PDF, or word processing document, OS X usually includes formatting, so the words you paste may be 56 point blue italic if that was what the source text looked like. That may be appropriate at times, but often you want the text to take on the (more restrained) styling of the text where you’re planning to paste it. Rather than reformatting after pasting, in most Mac apps, try using the Edit > Paste and Match Style command (sometimes called Paste Text Only or Paste without Formatting) to paste the text such that it takes on the style of the surrounding words in the destination. Apple’s default keyboard shortcut for this is Command-Shift-Option-V, but some apps may use a different one. 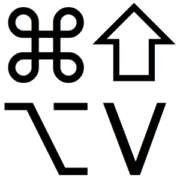 If you regularly need this capability in an app that doesn’t support it, consider using a clipboard utility app, like Keyboard Maestro, to make your own universal Paste Text Only hotkey.